A look at those mixed martial artists who earned a six-figure contract with the UFC after winning the reality competition show "The Ultimate Fighter." 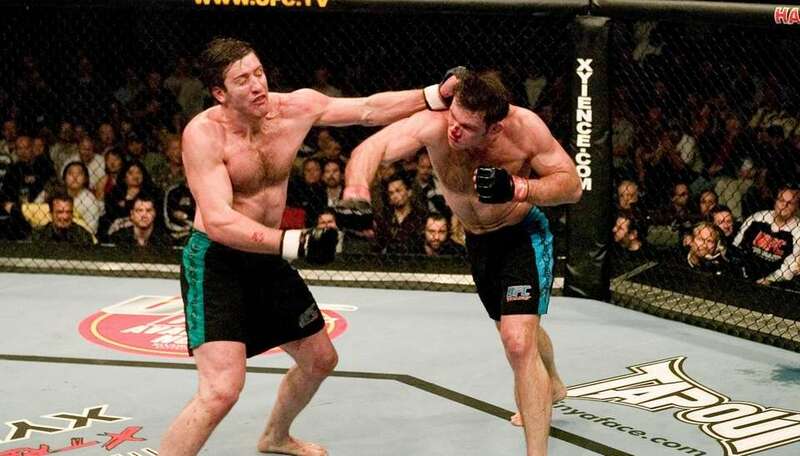 Season 1 winner, light heavyweight: The bout between Griffin, right, and Stephan Bonnar in the finale on April 9, 2005, is considered the greatest UFC fight ever. 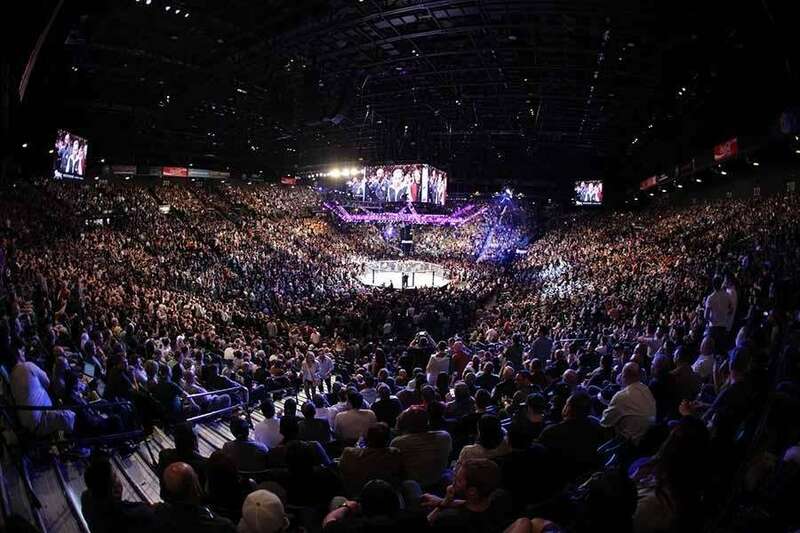 It was a three-round slugfest and is credited with launching the UFC into the mainstream. Season 1, Middleweight: Often forgotten, thanks to the Forrest Griffin-Stephan Bonnar barnyard brawl, is Sanchez, above right. He beat Kenny Florian to win the contract on April 9, 2005. Season 2 champion, heavyweight: Evans won a split decision over Brad Imes to win the UFC contract on Nov. 5, 2005, and has become the most successful Ultimate Fighter in UFC history. 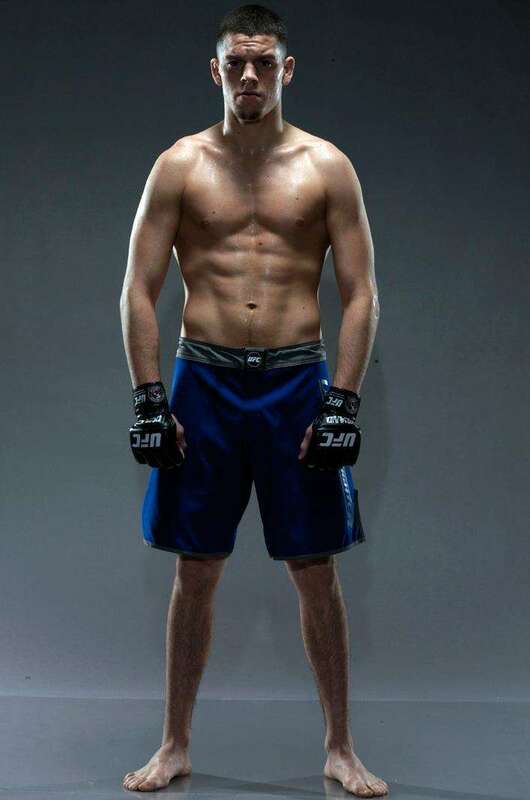 He won the light heavyweight title against Season 1 "TUF" champion Forrest Griffin and is again the No. 1 contender for that title. Season 2 champion, welterweight: Stevenson decisioned Nate Diaz, then decisioned New Hyde Park's Luke Cummo in the Ultimate Finale to win the contract on Nov. 5, 2005. 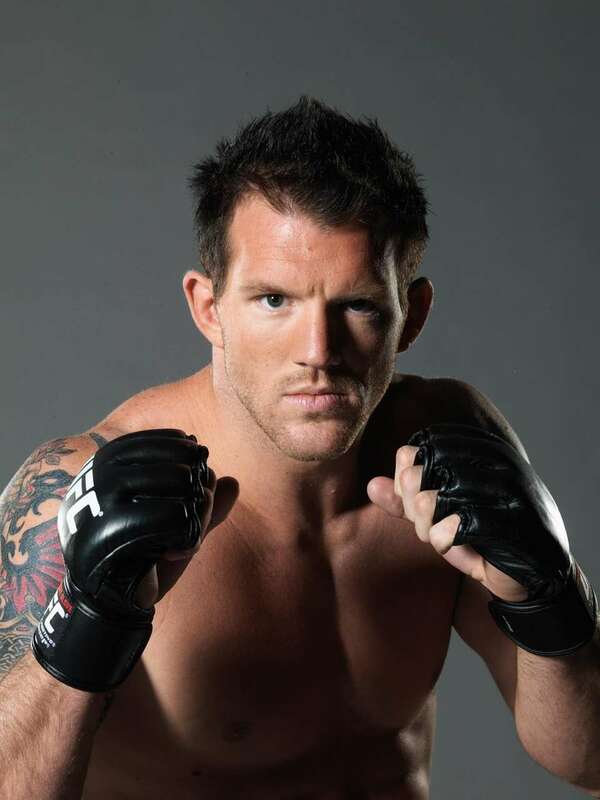 Season 3 champion, light heavyweight: The first notable British import to the UFC, Bisping knocked out Josh Haynes in the second round to win the six-figure contract on June 24, 2006. Season 3 champion, middleweight: Grove, right, won a unanimous decision over Ed Herman to get the UFC contract on June 24, 2006, and has remained in the promotion ever since. Season 4 champion, welterweights: In the comeback season featuring UFC fighters that never won a title, Serra decisioned Chris Lytle to earn a title shot against champion Georges St-Pierre on Nov. 11, 2006. Five months later, Serra became the only man in the world to knock out GSP and won the UFC welterweight championship. Season 4 champion, middleweights: In the comeback season featuring UFC fighters who never won a title, Lutter submitted Patrick Cote in the first round to win a title shot against champion Anderson Silva. He lost. 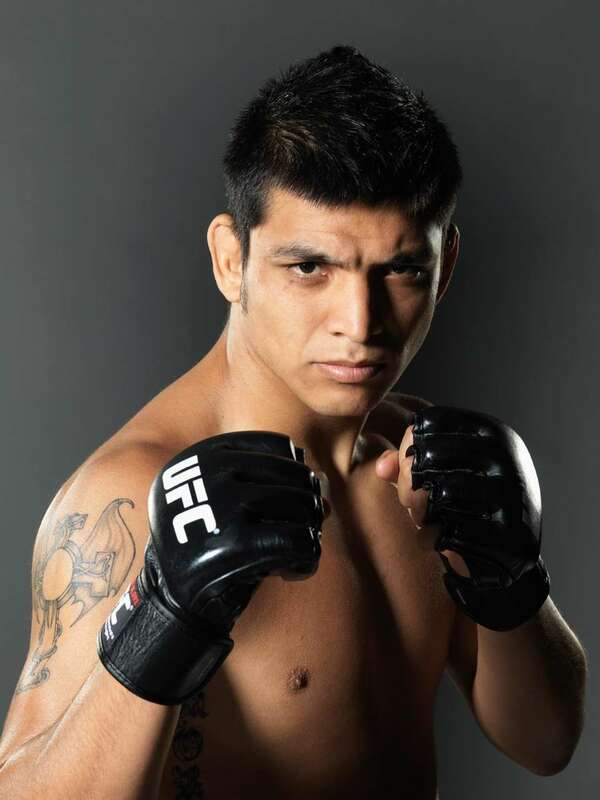 Season 5 champion, lightweight: Ever the tough guy with attitude, Diaz submitted his way to the title, beating Manny Gamburyan on June 23, 2007, to win the UFC contract. Season 6 champion, welterweight: Danzig submitted all his opponents en route to winning the Ultimate Finale over Tommy Speer on Dec. 8, 2007. Season 7 champion, middleweight: The widely popular Sadollah submitted CB Dollaway to win the UFC contract and is 2-2 in the promotion since. Season 8 champion, lightweight: Escudero decisioned Brooklyn's Phillipe Nover on Dec. 13, 2008 to win the contract. Less than two years later, he was cut from the UFC after failing to make weight at Fight Night and going 2-2 since winning the title. Bader knocked out Vinny Magalhaes in the Ultimate Finale to win the six-figure contract on Dec. 13, 2008. Season 9 winner, lightweight: Team UK's Pearson ran through the Americans during the preliminary bouts then won a unanimous decision over countryman Andre Winner to win the contract on June 20, 2009. Season 9 winner, welterweight: Team UK's Wilks could be the only "TUF" guy to beat the same fighter twice in the same season. 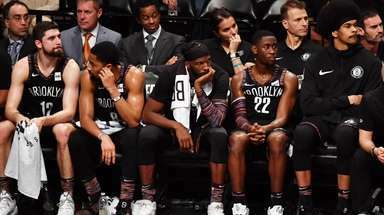 He then submitted Team USA's DaMarques Johnson to win the contract on June 20, 2009. Season 10 champion, heavyweight: Roy Nelson knocked out Brendan Schaub in the first round to win the title on Dec. 5, 2009. During the show, he stopped Kimbo Slice. 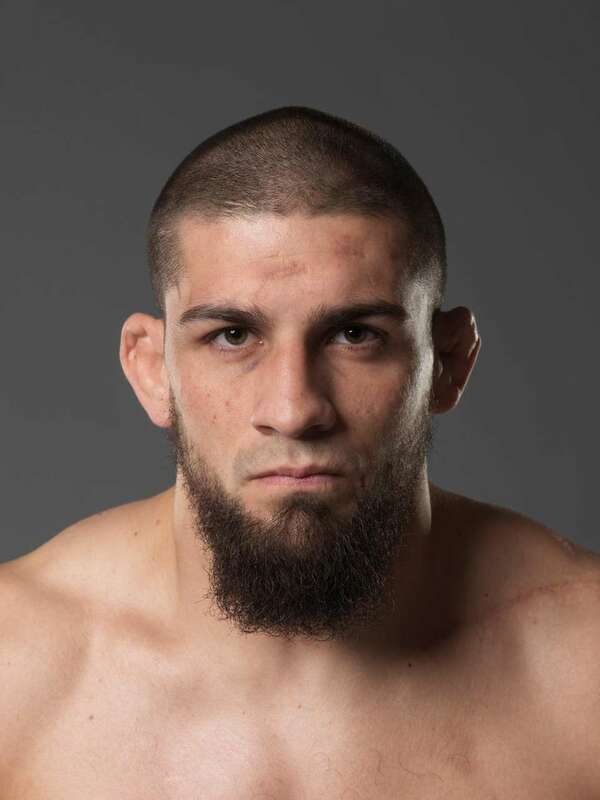 Season 11 champion, middleweight: Court McGee, the former heroin addict who was once pronounced dead, defeated Kris McCray to win the title on June 19, 2010. 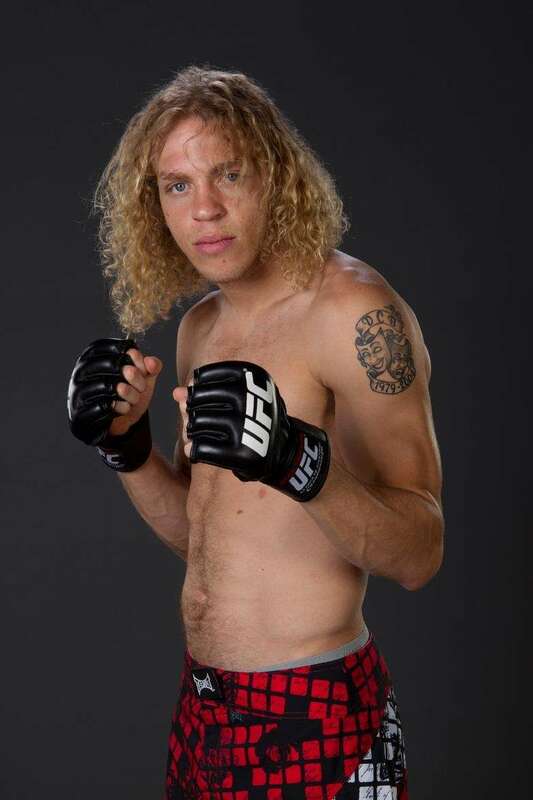 Season 12 winner, lightweight: Brookins won a unanimous decision over the favored Michael Johnson to win the six-figure contract on Dec. 4, 2010. 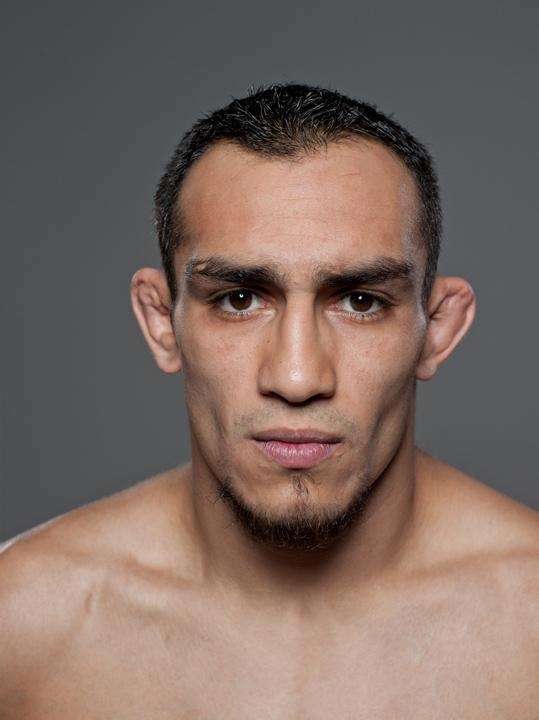 Season 13 winner, lightweight: Ferguson delivered a first-round knockout of Ramsey Nijem at the "Ultimate Finale" on June 4, 2011, to win a contract with the UFC. Season 14, bantamweights: Dodson delivered a huge left hook -- no surprise there to viewers of Season 14 -- to knock out TJ Dillashaw to win the contract. Season 14, featherweights: Brandao used some impressive jiu-jitsu to turn an offensive onslaught from Long Island's Dennis Bermudez into an armbar submission to win Season 14. 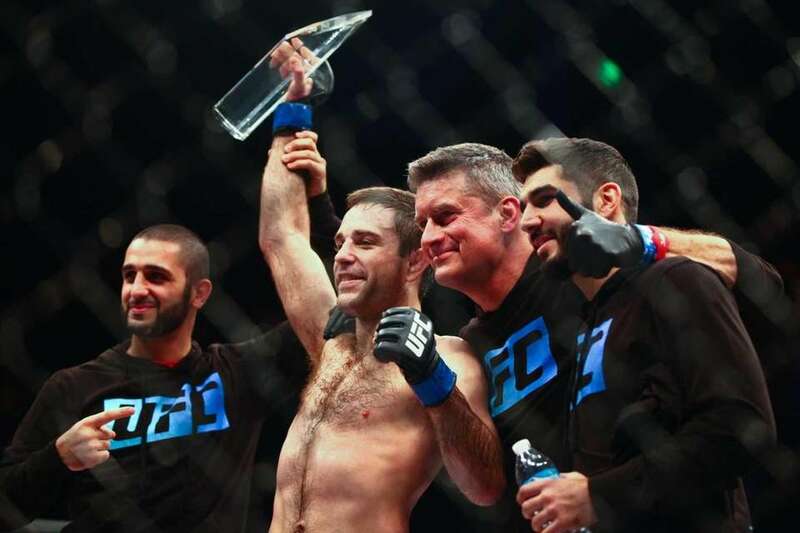 Season 15 champion, lightweights: Chiesa's father passed away from leukemia a few weeks into the filming of "TUF Live," and he still was able to fight his way to the final and win the UFC contract. He submitted Wantagh's Al Iaquinta to win the season. Season 16 champion, welterweights: Smith, an active duty Army Ranger, won a unanimous decision over Mike Ricci to earn the Ultimate Fighter title. 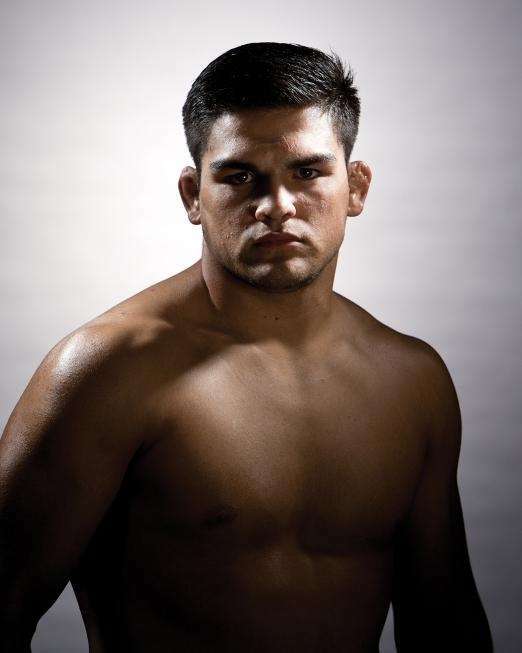 Season 17 winner, middleweight: Gastelum, 21, was the youngest TUF contestant in the show's history. He was also the last fighter picked by either coach. And then he ran through the competition and beat Uriah Hall by split decision in the final. Season 18, women's bantamweight: Pena advanced to the final of the first "TUF" season to feature female fighters by winning one decision and getting two stoppages. In the finale, she beat Jessica Rakoczy by TKO with one second left in the first round. 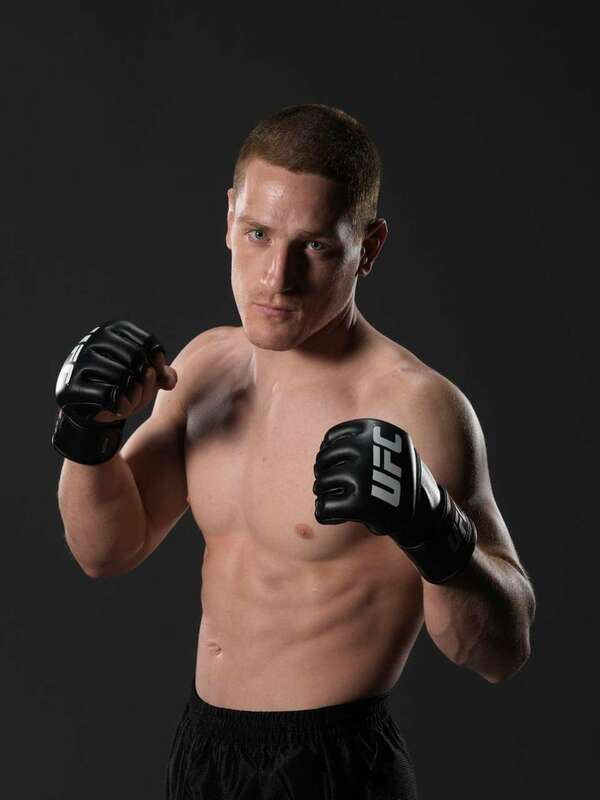 Season 18, bantamweights: Chris Holdsworth submitted Davey Grant in the second round to win Season 18 of "The Ultimate Fighter." Season 19 winner, middleweight: Gordon, from Freeport, won three decisions to reach the finale, where he knocked out Dhiego Lima 71 seconds into the first round to win the show. Season 19, light heavyweight: Anderson knocked out Matt Van Buren in the first round to win the light heavyweight division of the show on July 6, 2014. Season 20, women's strawweight: In the first "TUF" season to feature all female fighters, Esparza defeated Rose Namajunas in the final to win the season and be crowned the UFC's inaugural champion of the new 115-pound division. Season 22, lightweights: Ryan Hall lost in the semifinals on the show, but he returned in the final after Saul Rogers had visa issues and couldn't get back into the country for the finale. Hall dominated Artem Lobov with his jiu-jitsu to win a unanimous decision. Season 23, women's strawweight: A bronze medalist in the 2008 and 2010 Wrestling World Championships, Tatiana Suarez defeated Amanda Cooper with a D'Arce choke at 3:43 of the first round in the finale. 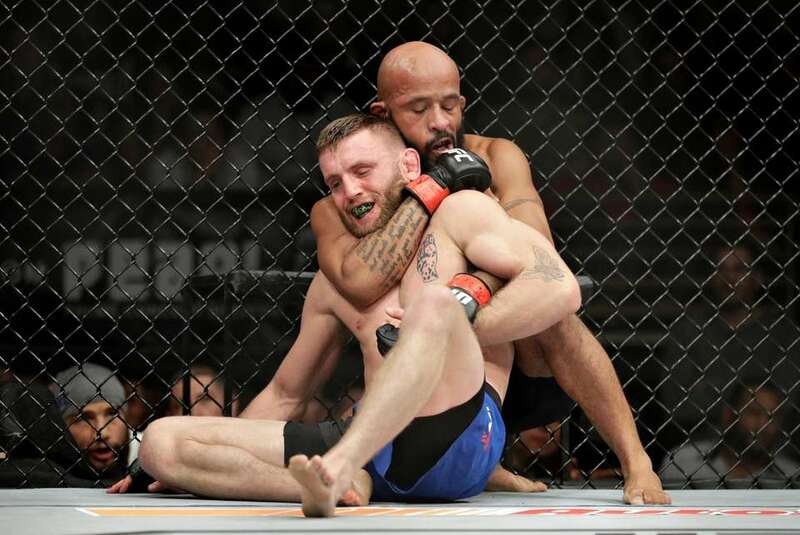 Season 24, flyweights: Tim Elliott, the former Titan FC champion, won four fights to win the "TUF 24" season and earn a title shot against reigning UFC flyweight champion Demetrious Johnson. Elliott lost by unanimous decision to Johnson in his title shot.